Your computer will send a request to the default Domain Name Server (usually the DNS of your ISP), asking for the IP address of YourDomain.com. If the default Domain Name Server has the IP address information of YourDomain.com, she will tell the IP address of YourDomain.com to your computer. Let’s assume a bad scenario here. The default Domain Name Server do not has the IP address information of YourDomain.com. In this situation, the ISP Domain Name Server will check her own named.cache file, find out the IP address of Root Domain Name Server. She will then send request to one of the Root Name Server, asking for the IP address of YourDomain.com. In case, the first Root Domain Name Server is out of order, she will check the named.cache file again, and send request to the second Root Domain Name Server…….. 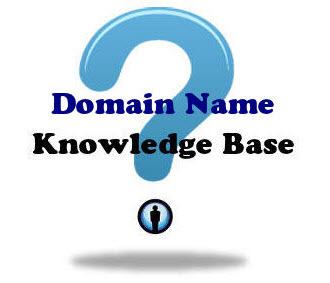 If Root Domain Name Server has the nameservers information of YourDomain.com, she will tell the nameservers IP address of YourDomain.com to ISP Domain Name Server. When ISP Domain Name Server has the nameservers IP address of YourDomain.com, she can them send a request to the nameservers, asking for the IP address of YourDomain.com. The nameservers of YourDomain.com receive the request from ISP Domain Name Server. The nameservers of YourDomain.com check the file, finding the IP address of YourDomain.com. Then tell the IP address of YourDomain.com to ISP Domain Name Server. The ISP Domain Name Server then tell the IP address of YourDomain.com to your computer. This is the end of revision of how DNS works.